Is Affiliate Marketing Hard in 2018? 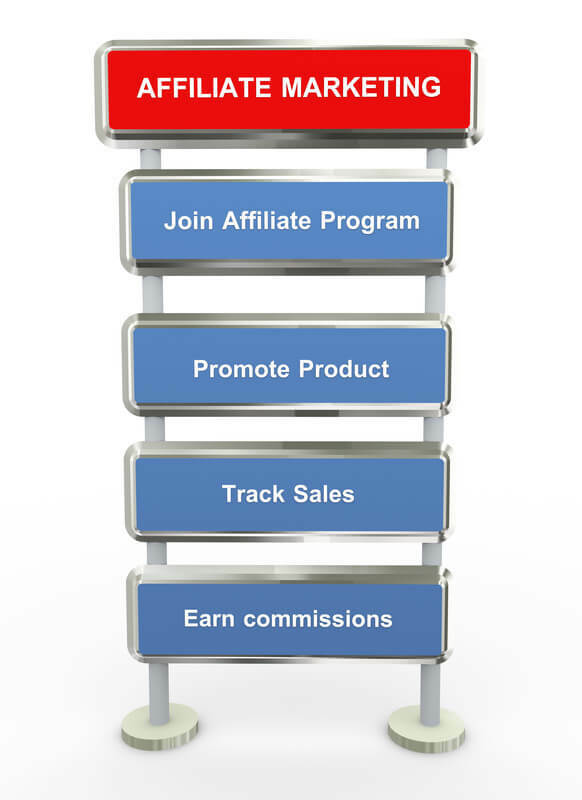 Let’s talk about affiliate marketing and see how it can work for you. I believe this subject will be very interesting to discuss and come to some conclusions that may change your life in the coming years. 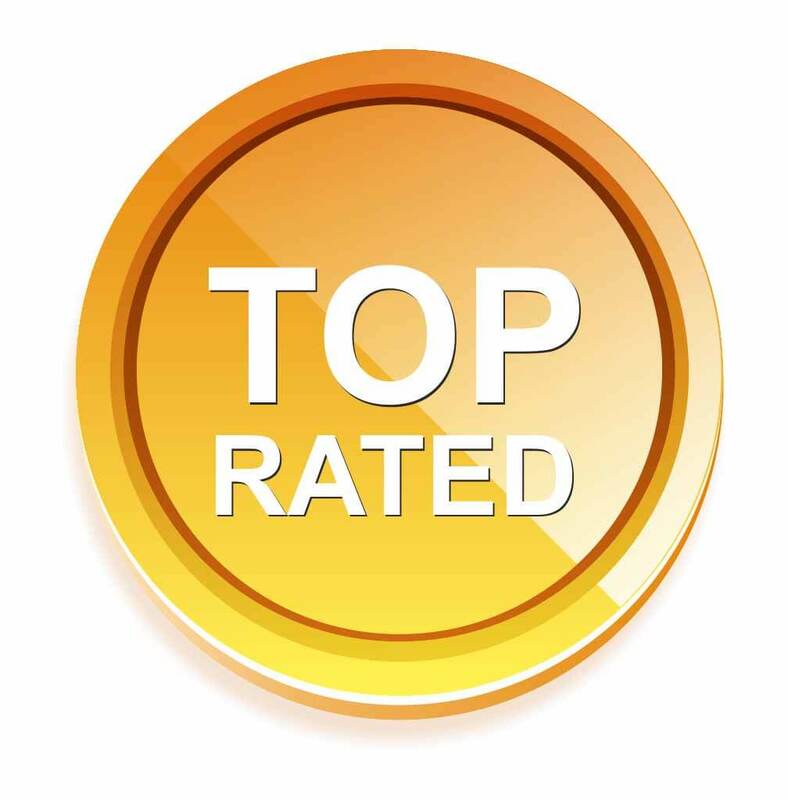 I’ve been in affiliate marketing for the last 4 years and have learned a lot of new things. Though my first affiliate marketing business was back in 2000. Back in 2000 it was very difficult to find an info about affiliate marketing you could rely on. Internet gurus were creating courses on affiliate marketing and promised people a lot of money with zero or very little effort. I had very little success in 2000. Then in 2013 I came across an affiliate marketing center that educated me and helped me achieve success online. 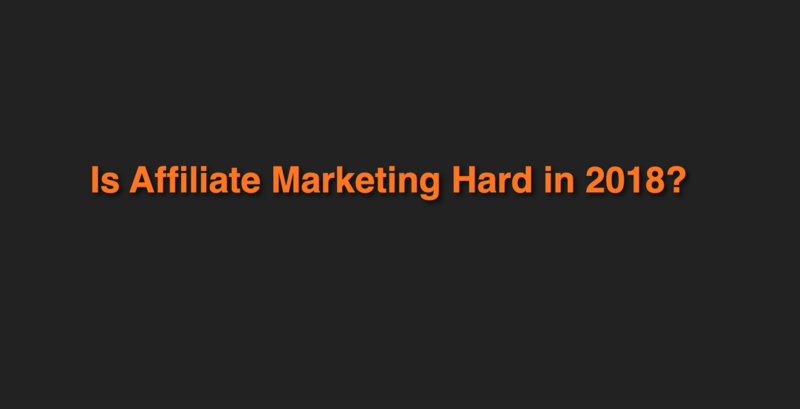 The subject I want to discuss today is this: Is Affiliate Marketing Hard in 2018? If it’s hard why it is so hard? Or maybe it’s super easy? Let’s dive into this subject and see how you can succeed too. Before I dive into this subject I would like to briefly explain what is affiliate marketing for those of you who don’t have any info about it. In short, affiliate marketing means promoting products/programs/services that don’t belong to you. They belong to other people. You promote them in exchange for a commission. When someone buys from your website you get paid by the merchant. In most cases for promoting physical products you earn commission between 5%-10% while for promoting digital products you can earn up to 75%, sometimes even 100%. Is affiliate marketing really hard or difficult? Now let’s dive into our core subject. First of all, affiliate marketing means doing some work before you can start earning. It’s very normal like in any other field of work. There is no work in the world that you can get paid for without doing anything. And the same applies to affiliate marketing. The good news is that affiliate marketing doesn’t require super skills. It requires some knowledge that you can get from affiliate marketing course like this. It will take some time to complete the course, complete the tasks and then grow your affiliate marketing business. You will get all the tools and knowledge required for this. So, as you understand so far, to become an affiliate marketer you must do some work to achieve your goals online. You must be willing to learn new things, follow the steps and have some patience until you start profiting from your affiliate marketing business. Is it hard or difficult? Yes, of course it’s difficult. Because you have to do the work. If you love what you do then it will not be hard for you. But the questions is: How can you love what you have no experience in? I have an answer to this question. As an affiliate marketer you can build your business based on your passion and interest. If you love computer games and know a lot about it you can create a business around what you love and it will not be difficult for you at all. If you love books you can create a website around books and promote them. It means affiliate marketing allows you to build an online business around what you love. When you do what you love it doesn’t seem difficult. Right? 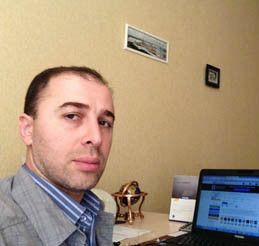 It means in terms of a hard work required in affiliate marketing in fact, it’s not hard at all. Though I can’t say it’s super easy or like walking in the park. It’s just like any other type of work. 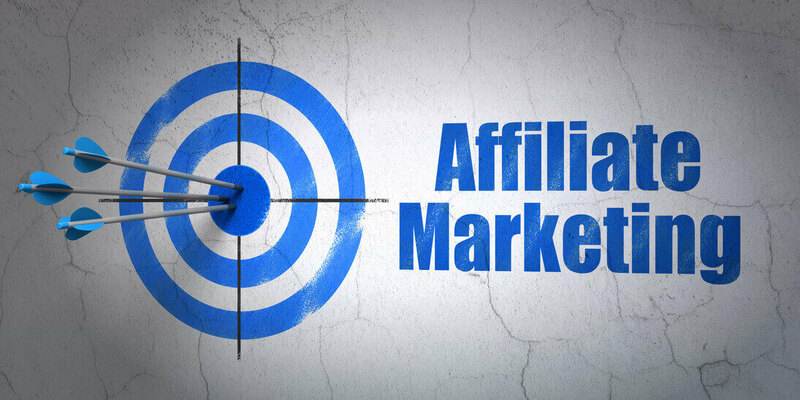 The different of affiliate marketing from other types of work is that as an affiliate marketer you can be financially independent and live your life on terms you want. If you want to be financially independent and be your own boss affiliate marketing is for you. You will love affiliate marketing then. And it will not be hard for you. If being financially independent is not important for you and you are lazy then it will be very hard for you. Then it’s not for you. As an affiliate marketer you will learn how to build your very own website. You will watch a step-by-step video that will explain everything you need to know about it. It’s not super easy but it’s not that hard at all. It will take 2,3 days of your part time so you can complete your website and get it up and running ready for you to make money. As an affiliate marketer you will learn how to write content for your website. Through content you will be sharing your knowledge about what you love to talk about. Content means you will be writing articles. Is it difficult to write articles. I would say “Yes” and “No” at the same time. If you love what you write about it will not be difficult at all. If you don’t love it then it will be like a mountain for you. English is my second language and still it doesn’t stop me from writing content for my site. So, this is your second challenge as an affiliate marketer. As an affiliate marketer you will be recording videos for your website and putting the on your YouTube channel. Through your youtube videos you can drive people to your website or any other site using your affiliate links. The more videos you have the more traffic you can get and the more money you can earn. In short, you will be promoting your content using different methods, such as SEO, video marketing, social marketing, paid advertising, social outreach and more. There are many methods to advertise or promote your content, website. The purpose of doing this is to drive traffic to your website or affiliate offers and make money. Is it hard? Is it difficult? Of course, it’s not like walking in the park. It involves a hard work, patience, time, energy. I’ve been in affiliate marketing since 2013 and I’ve seen many people start and quit very easily and quickly. Because most people have zero patience when it comes to seeing income from their efforts. Most of them want to see income in 2,3 months after starting their affiliate sites. In reality it’s difficult or close to impossible. 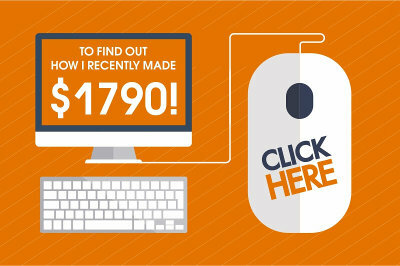 You need months or at least one full year of hard work before you start seeing an income from your affiliate website. 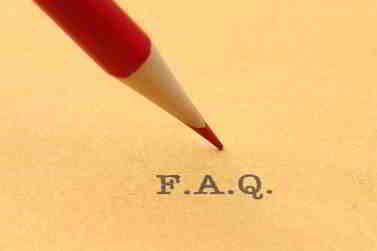 A short answer to the question: Is affiliate marketing hard or difficult? To a certain extent “Yes”. There is no easy money. But if you love what you do and want to be financially independent then affiliate marketing is for you. You will love it and it will not be hard for you at all. Especially, once you start to see your first income you will love your business even more and will be happy to dedicate even more time to your affiliate marketing business. 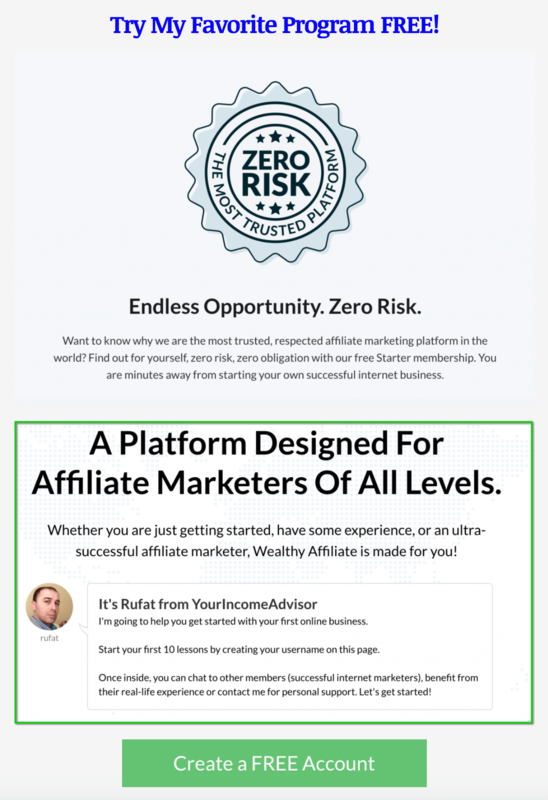 Where to start your first affiliate marketing business? There are many places where you can start your affiliate marketing business. Each program has its strong and weak points. But this program has been my favorite program since 2013. It’a the best program I’ve come across so far due to many reasons. It’s a well-balanced program in terms of affordable price, quality support and step-by-step training. With this program your affiliate marketing journey will be much easier and you will be able to achieve success much quicker.